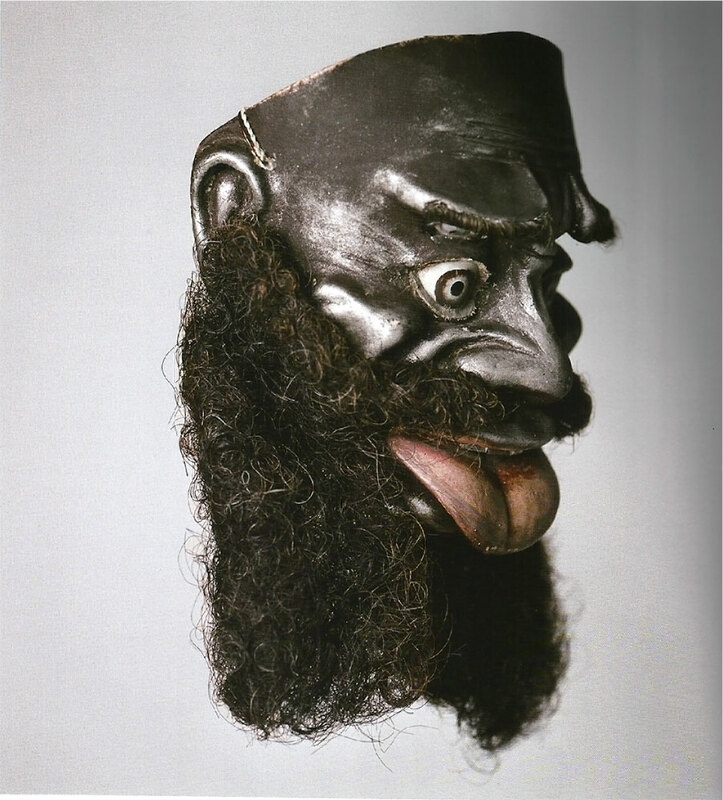 Final selection from the book Masks: Masterpieces from the musée du quai Branly. I apologise for the Devil Son mask I showed you last time. Hopefully you’ve recovered now. How about a sort-of cute tiger? 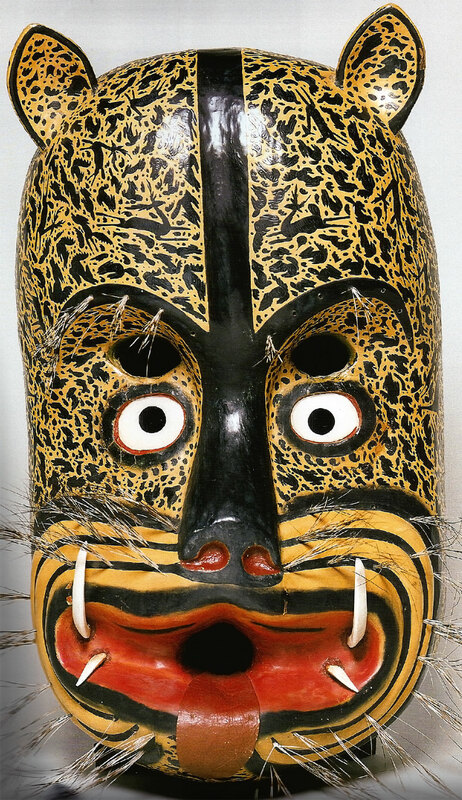 Lacquered wood mask of a tiger, State of Guerrero, Mexico, circa 1970. This mask was made using the rayado technique. Two layers of lacquer are superimposed, then one is partially removed to produce this two-tone effect. If you look closely you’ll see that the markings aren’t random; they form the shapes of birds, rabbits, deer and other animals. Plaster and cloth moreno mask from Oruro, Bolivia, early 20th century. Moreno masks represent the exhausted, sickly African slaves who worked in the plantations and mines of Bolivia. They’re worn during the mining city of Oruro’s carnival. The masks, I mean. Not Africans.